ic. Let's put all in one entry. Please replace "LocalCache\Cache|*. *|RECURSE" with "LocalCache|*. *|RECURSE" in [OneConnect *], [Print3D *], [Xbox Game Overlay *] and [YourPhone *] entries. I suggest that the following be moved to Winapp3.ini. I do not think most users of Winapp2.ini want it to reset all the web page icons in Chrome and/or Edge. And it can cause users to have to do their own investigating as to why CCleaner is clearing out these icons....should they forget to uncheck these items. 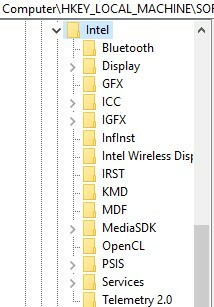 Plus if you are like me and assist less "computer literate" users in why and how to use CCleaner with Winapp2.ini, it takes a personal explanation as to why these should be unchecked when Winapp2.ini is installed/updated. Icons of deleted favorites/bookmarks stay there. It is a privacy concern. These entries should stay in Winapp2.ini without any warning. These entries should be removed. Warning=This will delete all Screenshots captured by ShareX. Warning=This resets screenshot naming back to "Screenshot (1).png". Warning=This will remove the frequently shared list. This does not remove the apps listed under sharing. These changes prevent [ScreenShot Index *] and [Sharing MFU *] from displaying on Windows 10x64 Pro. [Action Center *] is a part of Windows 7 only. [ScreenShot Index *] and [Sharing MFU *] are a part of Windows 8 only. There is Action Center in Windows 10 and I have the folder ActionCenterCache ( FileKey1=%LocalAppData%\Microsoft\Windows\ActionCenterCache|*. *|RECURSE ) on all my Windows 10 systems. There is no Action Center in Windows 10. Please read the description in the link you posted. In Windows 10 it is Notifications and we already have an entry for that. Microsoft no longer calls it "Action Center", but the "ActionCenterCache" folder (check the modification date) and the registry key "...\Security and Maintenance\Providers\EventLog " are still used by Windows 10. From the description of Microsoft: "The old action center is still here; it's been renamed Security and Maintenance." Also "ScreenShot Index" is still there. Please try it yourself: Just take a screenshot using WIN+Print and the registry value appears. "Sharing MFU" still seems to be used by some apps, e.g. the "Camera" app. I think [ShareX Backup *] and [ShareX Screenshots *] entries explain themselves. Who would want their screenshots and captured videos deleted? Lets restrict [Action Center *] to Windows 7 and make another entry with the proper name, which is Security and Maintenance. Move "%LocalAppData%\Microsoft\Windows\ActionCenterCache|*. *|RECURSE" and "HKCU\Software\Microsoft\Windows\CurrentVersion\Security and Maintenance\Providers\EventLog" to this entry from the [Action Center *].